True to the TruthQuest philosophy, this "Getting Deep" commentary goes where few students have gone before, underground into some serious Bible study that drops them into historical settings, fishes around in doctrinal waters, and brings them up for air with biting questions that can't be answered just "yes" or "no." 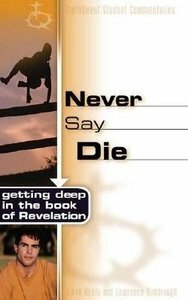 About "Never Say Die (Truthquest Student Commentaries Series)"
Keels is the general editor of the TruthQuest Bible and a widley respected pastor of Student Ministries. He has worked with young people at Good Shepherd Community Church in Oregon, since 1978. Lawrence Kimbrough is an editor and writer with B&H and is the author and compiler of a number of books, including the TruthQuest Prayer Journal and the best-selling, One Minute Bible for Starters.